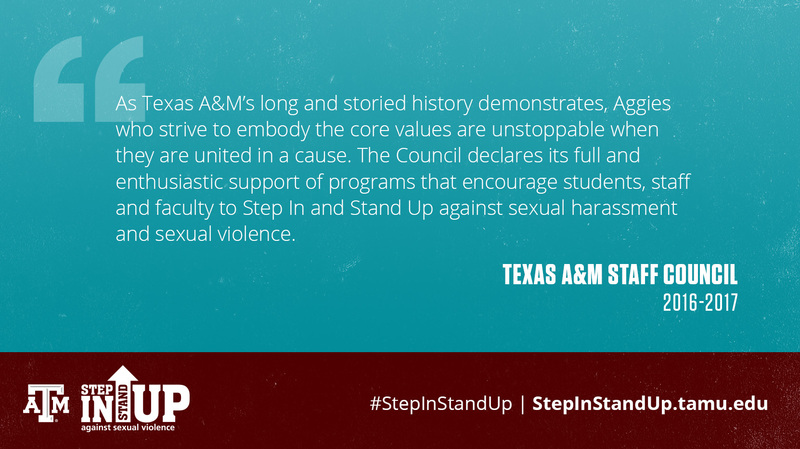 Join Aggies everywhere as we Step In and Stand Up against sexual harassment and sexual violence. 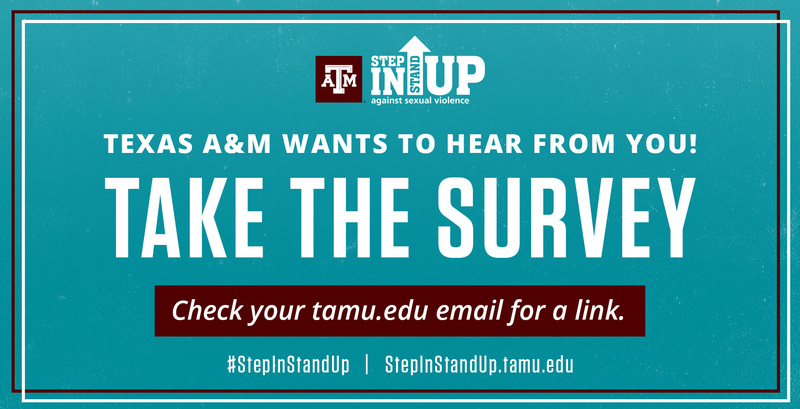 Show your support and help change the conversation and the culture. 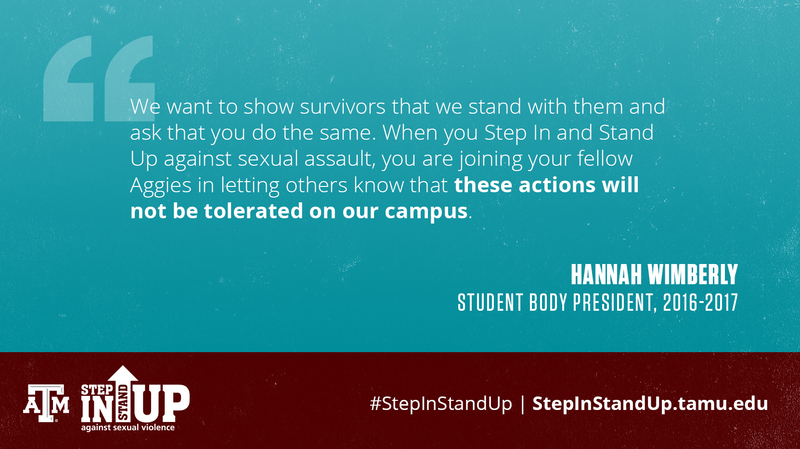 Putting a stop to sexual harassment and sexual violence begins with each one of us taking the collective first step toward change. 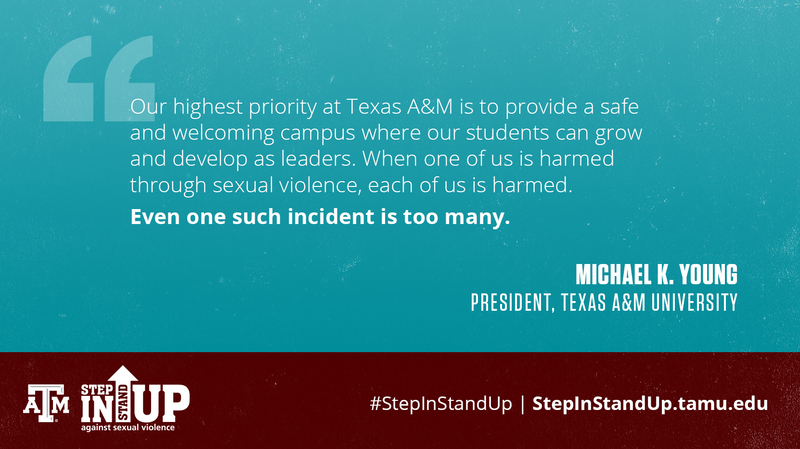 Together, we step in to prevent these senseless acts and stand up to support the survivors. 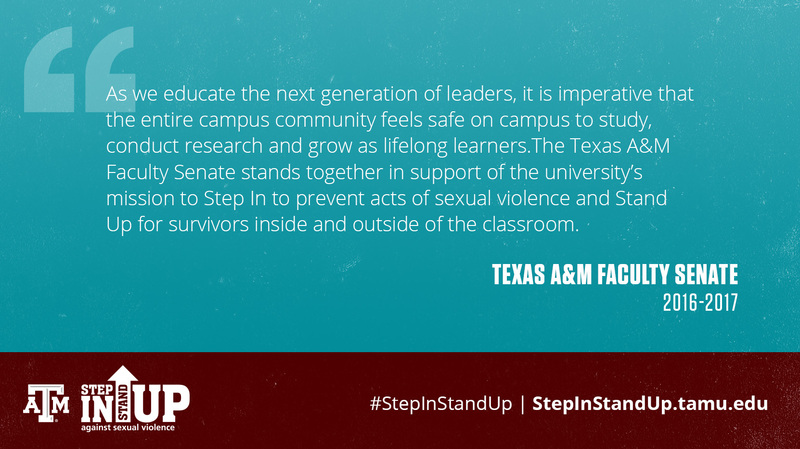 Together, we will change the perceptions, conversations and communities. 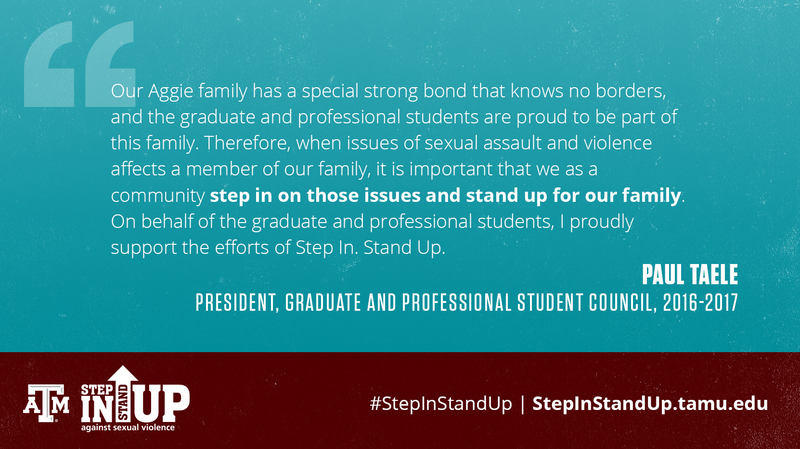 Stand with the entire Texas A&M community in creating awareness and action in an effort to prevent sexual harassment and sexual violence on our campus, in our community and throughout our country. 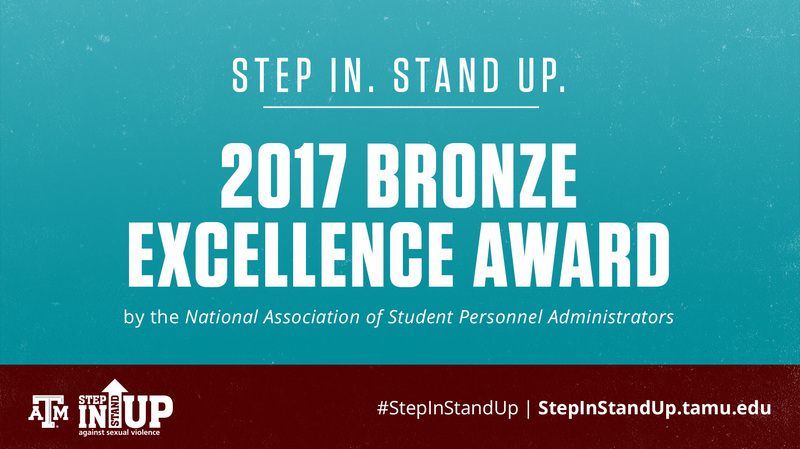 See how you can Step In, Stand Up and get more involved.